Anybody out there feelin’ a little need for speed? Come on, admit it. Most of you have wanted to climb into an F-14 and rocket above the clouds ever since Tom Cruise first did it on the big screen back in ‘86. You can almost hear Danger Zone playing in the back of your minds, can’t you? Navy fighter ace Pete “Maverick” Mitchell (Cruise) flies his Tomcat right on the edge. In the cockpit, no one can touch him. Unfortunately, Maverick sometimes flies too aggressively, often crossing a very dangerous line. This recklessness aside, when the lead flyer in his carrier squadron loses his edge and washes out, Maverick and his RIO “Goose” (Anthony Edwards) get the chance of a lifetime – the opportunity to fly against the best of the best at the Navy’s Top Gun fighter combat school. When the competition gets fierce, there’s only one question to be answered: Can Maverick reign in his personal demons enough to beat these elite pilots... or will he beat himself instead? 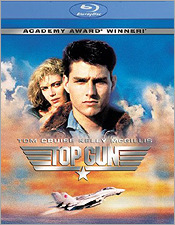 Paramount’s new Blu-ray Disc edition of Top Gun is well worth the wait. Presented in 1080p high-definition, almost certainly repurposed from the previous HD-DVD release, the film looks very good overall. Color and contrast are outstanding, with very good fine detail evident throughout the film. There’s light to very light film grain visible, as there should be, and the print is generally quite clean. The only thing that works against the video quality is a bit of occasional compression artifacting (visible mostly in clouds – 1.49:35 is a good example – contrails and gouts steam on the carrier deck). Despite this, the image is overall very pleasing given the age of the film, and should satisfy all but the pickiest enthusiasts. Audio-wise, you get 5.1 ‘lossless’ high-resolution audio in both Dolby TrueHD and DTS-HD MA formats. Both options are excellent, with a very smooth, immersive and lively mix. The soundstage is big and wide, with good bass on the low end and precise, natural imaging. I’m not sure I have a preference between the two – I think whichever mix you choose, you’ll be happy with the result. 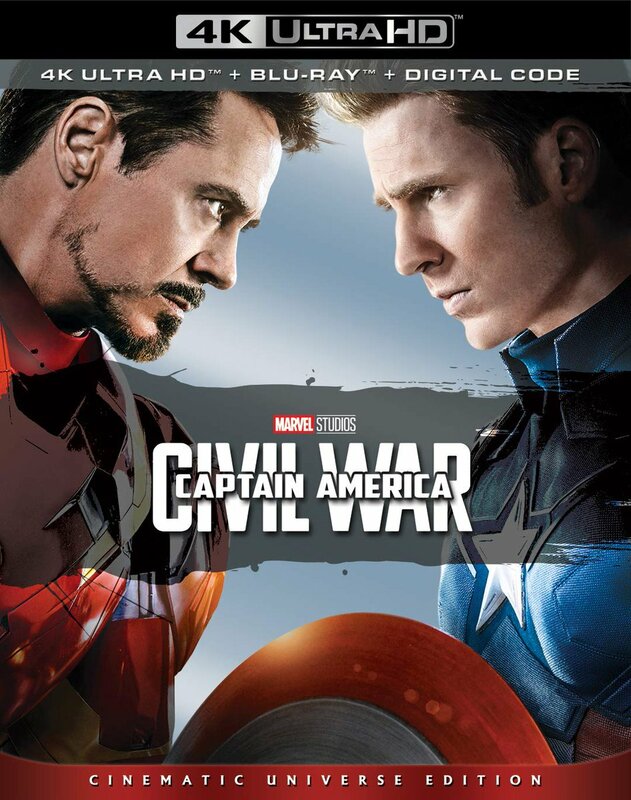 Unlike the HD-DVD release, the Blu-ray is a true Special Collector’s Edition, featuring substantial, high-quality bonus material. Nearly everything from the outstanding SCE DVD release has been ported over (content produced by Charles de Lauzirika), right down to the animated menus. The bad news is that one previous extra hasn’t been included: the extensive photo galleries included on Disc Two of the DVD release. So if you want those, you’ll have to at least keep Disc Two. On the other hand, the good news is that the Blu-ray actually adds a new feature – a 29-minute featurette, entitled Best of the Best: Inside the Real Top Gun. This was actually produced for the original DVD release, so it’s of the same high quality as the rest of the extras, but it had to be excluded for disc space reasons. It was, however, available on a Best Buy-exclusive bonus disc, packaged with the Top Gun: Special Collector’s Edition DVD, for a limited time. Given the overall quality, and the fact that nearly all of the DVD features have been ported over (not to mention the new featurette), Paramount’s new Blu-ray edition of Top Gun is well worth the upgrade price. Fans of the film should be very happy with it.